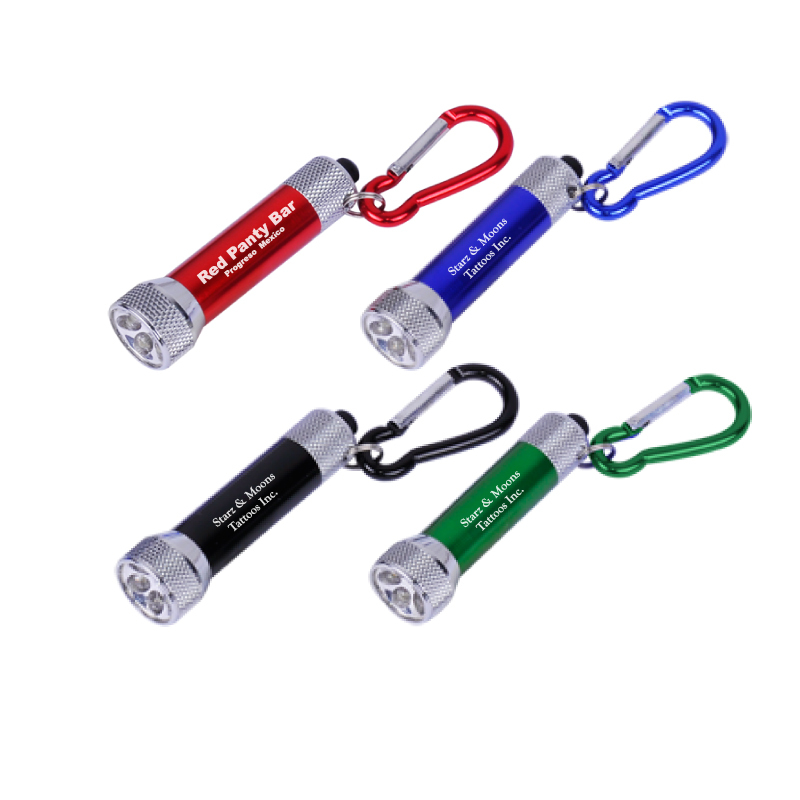 Product Details: Heavy duty aluminum anodized casing. Includes color matched carabiner. On/off button. Button cell batteries included and installed. Price includes laser engraving, engraves silver. Item Size: 2 5/8" x 5/8"
Approx. Imprint Size: 3/4" x 1/2"
Carton Dimensions: 16" x 9" x 13"